In many instances, caregivers do not have the resources to meet the most basic needs of the children in their care or even to obtain the basic documentation required to apply for state grants for which they qualify. 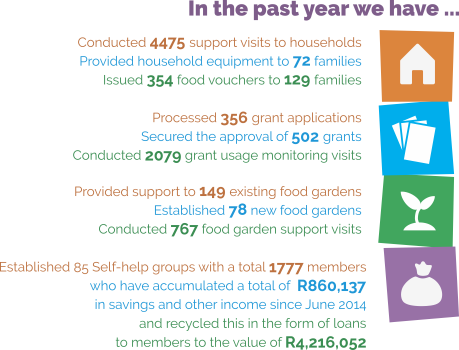 To address some of these challenges Thandanani undertakes a range of activities aimed at addressing the basic material needs of these households. Participants repeatedly indicated the extent to which the material support we provided was critical in ensuring survival and providing hope. 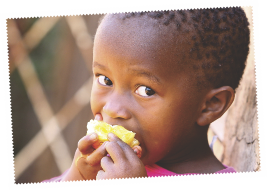 Many of the children we work with have been orphaned as a result of HIV & Aids. Some may themselves have contracted the virus as well. In instances, the health of children is compromised by poor nutrition, inadequate health awareness on the part of their caregivers, or because caregivers cannot afford the transport costs involved in accessing health care services for the children in their care. 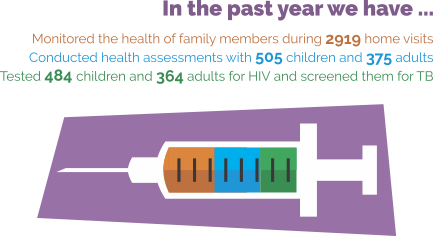 To address some of these challenges Thandanani provides a range of health services to households on our database. When families are unable to provide for the basic needs of their children, or when children are rendered vulnerable by the loss of one or more of their parents or a similar trauma the risk of children dropping out of school is significantly increased. 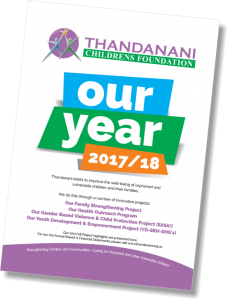 To reduce this risk Thandanani undertakes a range of activities aimed at supporting the education of the children on our database. 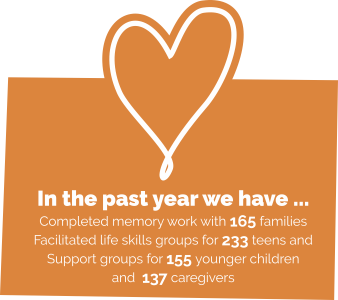 Many of the children we work with have experienced significant hardship and loss. Many have experienced the loss of their childhood in having to care for their dying parents and most have experienced the hardship of a lack of income, shelter, food, care and love following this loss. Similarly, many of the caregivers on Thandanani’s database have experienced significant hardship and loss while carrying significant burdens of care. Discover the impact of our other projects but clicking here and having a look through Our Year 2017-2018. These activities were conducted in accord with our model of household support which is aimed at holistically addressing basic material, physical, cognitive & emotional needs and moving families from a state of vulnerability to increased stability and self-reliance over a three year period. Once families are stable and more self-reliant (usually after 3 years) they exit our system and function independently of our support. This ensures that families do not become dependant, and allows us to redirect our resources to other families.